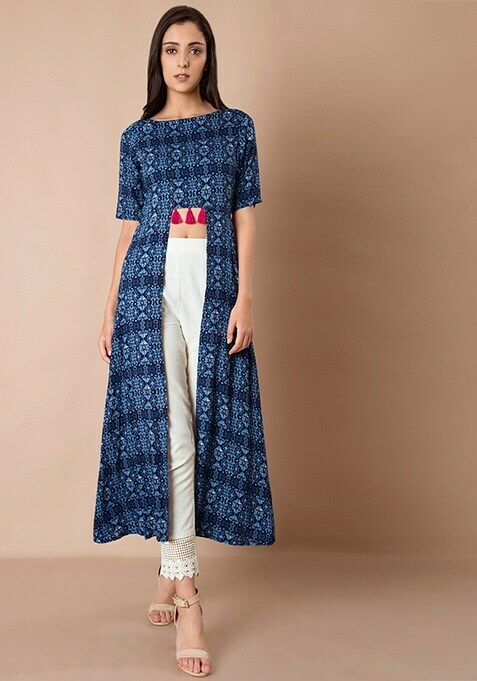 Itââ‚¬â„¢s hard to miss this eye-grabbing Maxi Tunic with tassels at the waistline. Splattered with abstract print and enriched with high front slit detail, youââ‚¬â„¢re sure to look like a diva. Work It- Go for a pair of jeggings and high heels to accentuate your look.